I know it’s weird to talk about relatively expensive guitars being ‘good value’ but this guitar IS good value. A solid top electro acoustic guitar of this qualiy at this price IS exceptional value. Being quite frank, we cannot understand why you would buy anything else ! However, that’s the joy of being a guitarist we all have different opinions and yes, the competion does offer similar guitars made in china that are prettier but our opinion is, well.. we love it ! 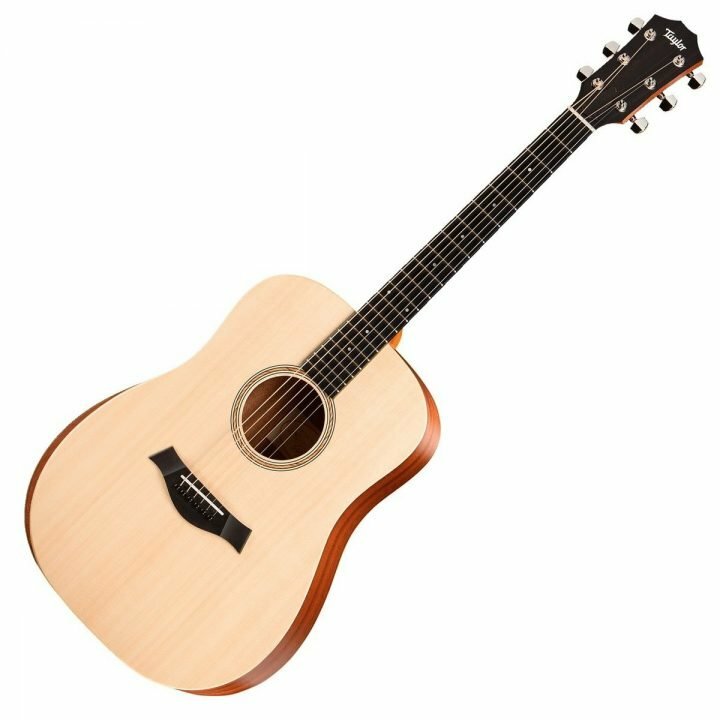 The legendary dreadnought body shape offers a versatile shape that all players will love, especially flatpickers and strummers. With its deep lows and driving rhythms, the dreadnought body shape accommodates a variety of different styles and is particularly ideal for a hard picking attack. Sitka spruce offers a combination of strength and elasticity, delivering a broad dynamic range with crisp articulation. The A10e is ideal for travelling musicians, as the layered sapele body provides extra resilience in fluctuating humidity conditions, for a durable guitar. For added volume at larger events, the A10e features an ES-B pickup and preamp system. This innovative pickup incorporates Taylor’s Expression system 2 piezo design, and features an LED display and a built-in digital chromatic tuner. Players can easily shape their sound using the tone and volume controls, located on the discreet sidemount on the upper bout. The Taylor A10e is equipped with a set of phosphor bronze strings from Elixir. These steel strings are coated with an ultra-thin coating that eliminates gunk from getting between the windings, and delivering a consistent performance and tone. As well as tone, these strings reduce finger squeak and are the ideal choice for recording.